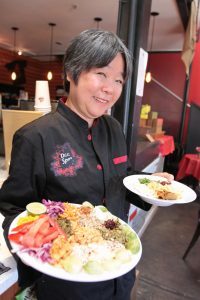 Not only do we have one of the best coffee and bagels in the area, our food is exquisitely popping up–literally. If you know the history of street food, you should also know that there was once upon a time food for the kings/queens of Angkor before all the war and pain came into place. Searching deep in your history books, you’ll see that Cambodia, Burma, Laos, and many Southeast Asian countries had been influenced by western countries like France, England, and even China. As these influences affected the kingdom, the food was also affected, and it evolved. Dishes like Ban Cheo and Lok Lak evolved through these inter-cultural ties. 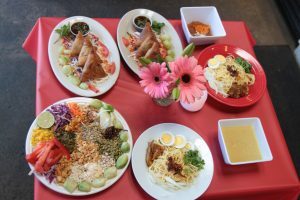 Burmese Tea Leaf Salads, Thai’s Papaya Salads, and so forth. But not much is known outside of street food when it comes to royalty food. Food that peasants never even set their eyes on. That’s because the chefs for the kings and queens were always interacting with western chefs to try to invent and create new dishes daily. 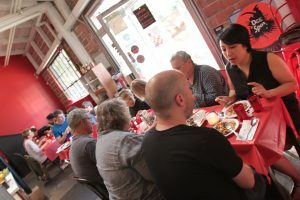 They saw the food technology and techniques used by the outside and tried to evolve traditional cuisine. We all love street food, it brings nostalgia and memories of being in Asia. 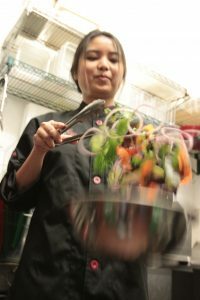 But for many centuries even, Southeast asian food did not evolve with new cooking techniques. Being able to make pasta from scratch, or using a sous vide to tenderize meat, a pressure cooker to infuse flavor, and so forth. This is where my pop-up the Elegant Khmer comes in. 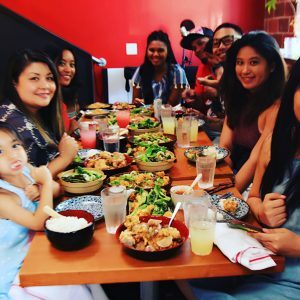 We are the new generation of Asian Americans, and we are here to grow and evolve Southeast asian cuisine. Street food doesn’t change, but elegant food find new ways to entice your palette. You’ll experience this in the dishes that we make. 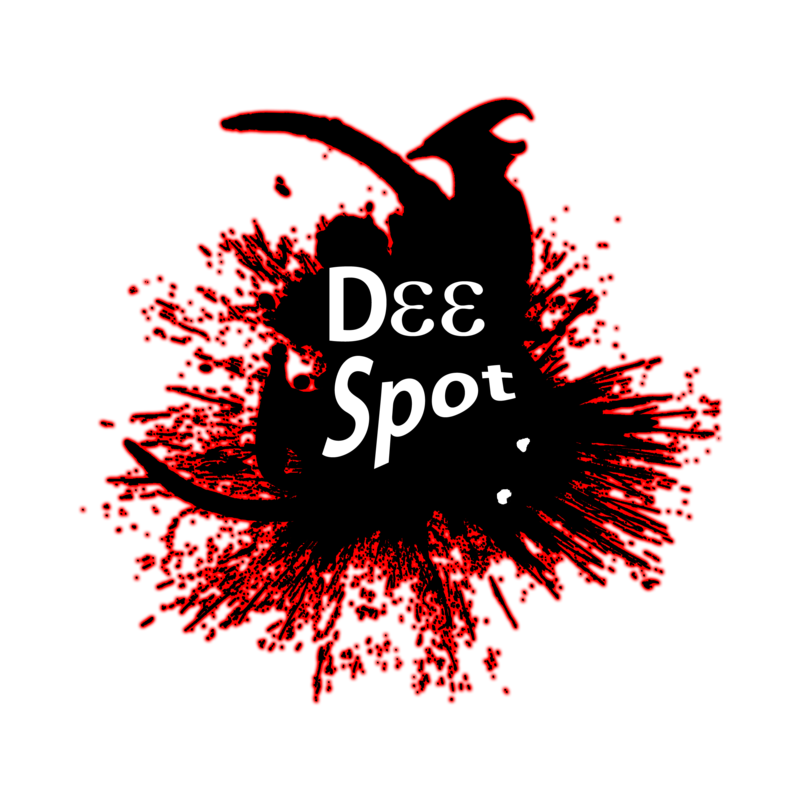 Come join us at https://eatfeastly.com/meals/d/191611928/the-elegant-khmer-6/?rf= on Feb 23rd at Dee Spot Cafe. Here are just samples of some of our previous pop-ups, and we are cooking all across the country.